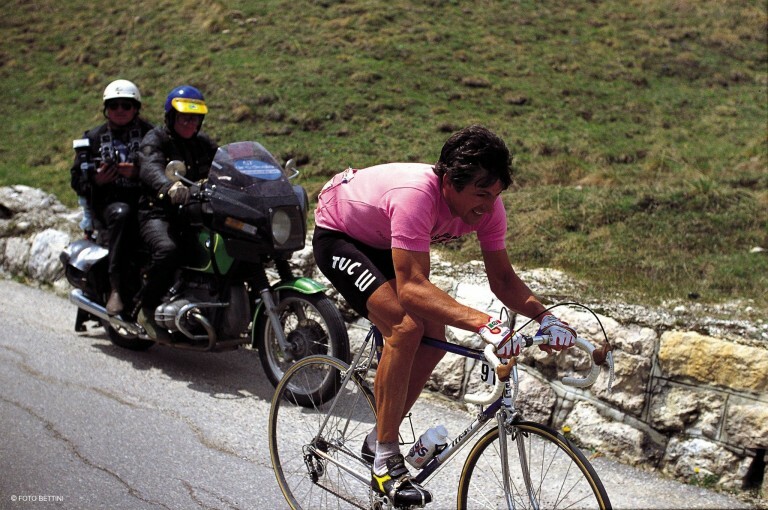 Le Tour gets all the hype but all true cycling fans knows that it’s the Giro that holds the true flame of professional cycling. Harder, prettier, weirder, dirtier and more dangerous. Pink beats yellow every time. This year’s route is 3,486 kilometres long and has around 43,000 metres climbing. That is officially insane. France is very pretty but Italy is stunningly gorgeous. The racing footage from the Dolomites will be simply epic. As it’s held in May there’s every chance there’ll be a bit of wild weather, particularly on some of the mountain stages. The penultimate day, Stage 20 will see the riders climbing up the dirt road of the Colle delle Finestre. Gravel racing meets the pro peloton! There’s no boring start, interesting middle, boring ending. Just consistently interesting stuff from the get-go right through to the finale. This year’s route has six hard mountain stages for the climbers. It has six flat stages for the sprinters. There’s a mad 59km individual time trial that has some hard climbing in it and some sketchy descents. There’s even a stage that is tailor made for a dramatic breakaway victory (Stage 7). Pink (this is an old post and the linked content no longer exists) > yellow. And Italy is still significantly more into cycling than France. It’s a year-round obsession, not just a July fling. The fans on the roadside at the Giro are pretty much all Italian and they all know their racing. They’re not just there for a booze-up and to grab some freebies from the Caravane. Beside that, no one does passionate like the Italians. This year the lack of hype and bias will be even better because there’s no Brits racing. Finally we might be able to have some reporting and information that better reflects the whole race. The Giro is the connoisseur’s Grand Tour. Somehow every year the Giro organisers seem to design some needlessly complicated and dangerous sections – especially at the finish zones. The teams hate it. We, the spectators, love it. Don’t mess with the Moser. Do you prefer the Giro or Le Tour? As ever, leave a comment below. Tagged giro, giro d'italia, le tour, moser, pro cycling, racing, santini, Tour De France. Bookmark the permalink. I agree completely, the Giro is a bigger challenge than the Tour and it seems to be consistently more open. You can tell how hard it is when you look at the top riders going to the Tour of California instead. Much safer and more comfortable place to be in May!